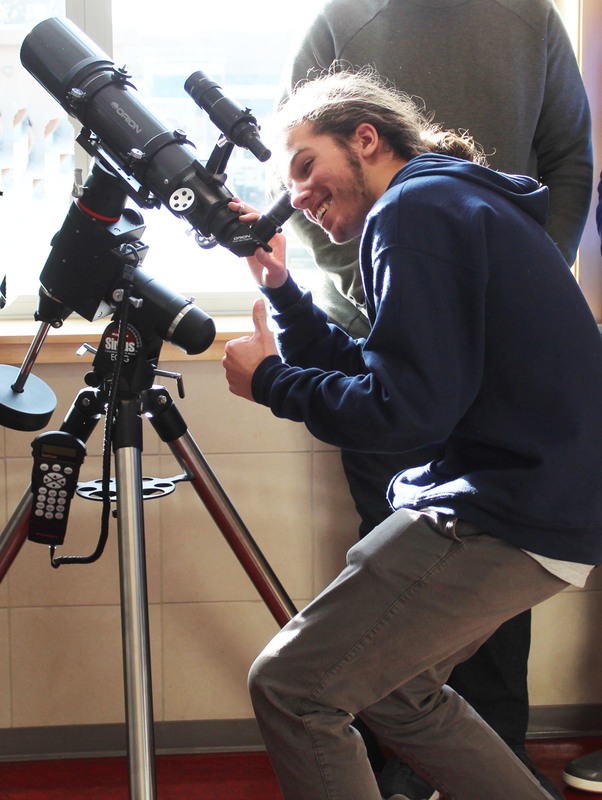 In 2018, Rockland High welcomed another club to the school, the astronomy club. If you enjoy stargazing, or want to learn how to use a telescope, then the astronomy club may be a good fit for you. 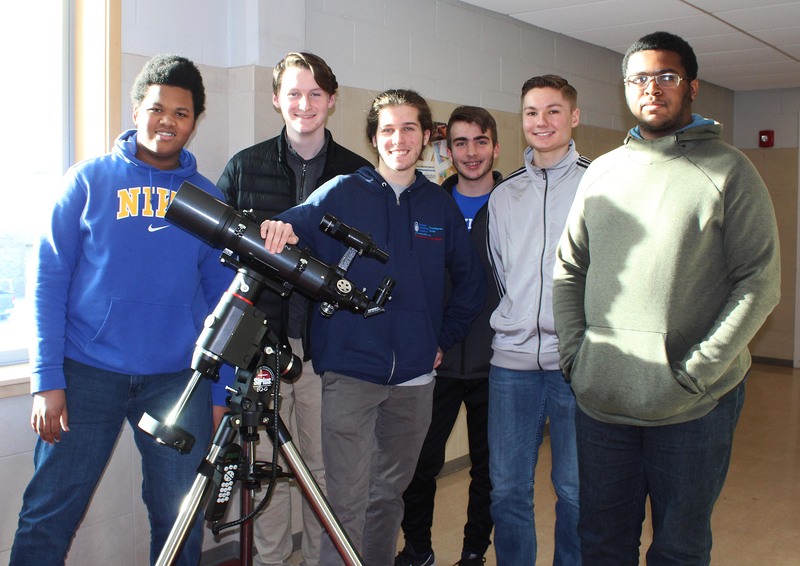 The idea of the club started when science teacher, Robert Murphy received a $3,000 grant last spring from the Rockland Education Foundation to purchase a telescope and develop an astronomy program for Rockland students. Since September students have been meeting on Fridays in Mr. Murphy’s room to learn how to put the telescope together, and understand how it works. According to Mr. Murphy, the quality of the Orion Opticalis makes it powerful enough to see the craters on the Moon and the rings of Saturn. Soon enough the students will have an opportunity to stargaze. Junior Zach Webb, and president of the astronomy club was asked by Mr. Murphy to join the club when it began. “I’ve always been fascinated with what lies above. In addition, I’ve also been interested in the scale of the universe,” said Webb. Zach Solomon, a sophomore in the club, was also interested when Mr. Murphy told him he was starting a new club. Hopefully, in the near future Rockland Public Schools will have a new building to observe the stars and planets with its brand new telescope.